Leading health expert and radio show host Nancy Addison talks with Shamir Ladhani, a “Heartmath" facilitator, motivational speaker, and a transformational coach. Shamir discusses the energy connected with our mind, heart, and body. He expands on how this affects us and our lives. He also conducts a coherence building exercise. They are both a part of the emergent workforce in Canada. 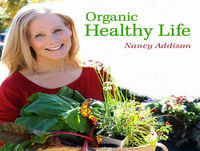 For more information, please contact Nancy at www.organichealthylife.com.